2001 Ford F-150 SuperCrew(4 Door) in good condition. Car has been run less than 10k per year, and has recently beenm serviced with new spark plugs, filters, and oils. Clean interior. Truck has minor chips in paint from over the years. 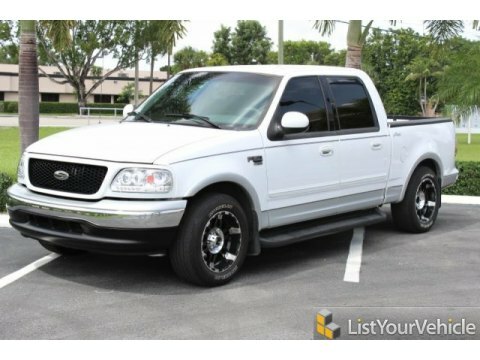 Truck includes Clarion Radio Head Unit, Spyder Halo Headlights, and 18 inch Rockstar Rims. The Vehicle also includes a full camper top bed cover with windows and locks. Truck will be completely detailed upon purchase. Please contact me with any Questions or Concerns. -954-303-8010.